Industry events offer a great opportunity for B2B companies. It is a perfect opportunity to network, establish partnerships, and discover different products, tools, technologies, and software that can help skyrocket your business. NEPCON Thailand offered all of these benefits and was definitely worth the while. NEPCON Thailand is the ASEAN’s #1 exhibition on Assembly, Measurement and Testing Technologies for Electronics Manufacturing. It is a yearly event that the Electrical and Electronics Industry is always looking forward to as different companies showcase their products, and everyone can gain knowledge and see opportunities for their business’ growth. As it is attended by various organizations, it is also a great opportunity to meet business partners. This year’s event is the 18th edition of the NEPCON series and it was attended by a total of 8,717 participants. The 4-day event started on Wed, Jun 20, 2018, 10:00 AM – Sat, Jun 23, 2018, 6:00 PM. In case you missed it, here’s a recap of the fun and exciting NEPCON series. The fast-paced technological advancements require every business to adapt with the changes or else, they will be left behind. It may be challenging to know how to use a modern facility or software but among the major benefits are the increase in productivity and keeping the business competitive. Business security is one of the most important aspects that every business owner should consider. 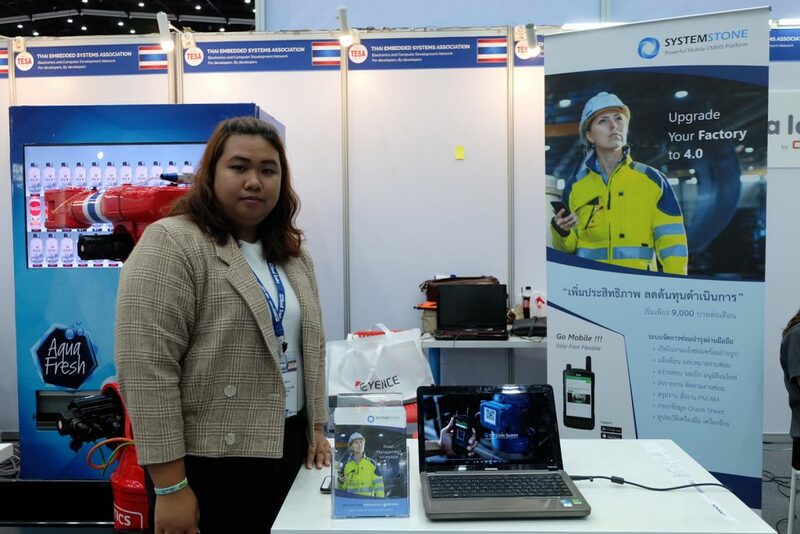 In the NEPCON Thailand 2018, there are a lot of exhibitors that offer different products and tools that provide solutions to those who are looking to secure their businesses. 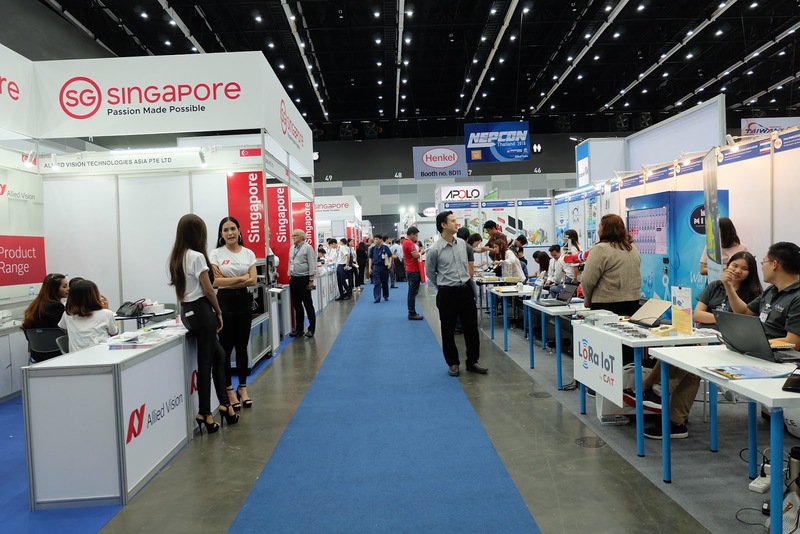 Since NEPCON Thailand 2018 gathered more exhibitors this year, they were able to bridge the gap between business-to-business (B2B) companies. They can find everything they are looking for in one event — business partners, suppliers, innovative products, new technologies, quality leads, etc. The visitors are quite impressed to find different companies and new products in the event. Today, a lot of businesses find surprising ways to disrupt the market. As the Industry 4.0 is happening, we should expect to see the rise of “smart factories.” Automation of machines and different devices will not be a new thing. The electronics industry plays a big role in this advancement. 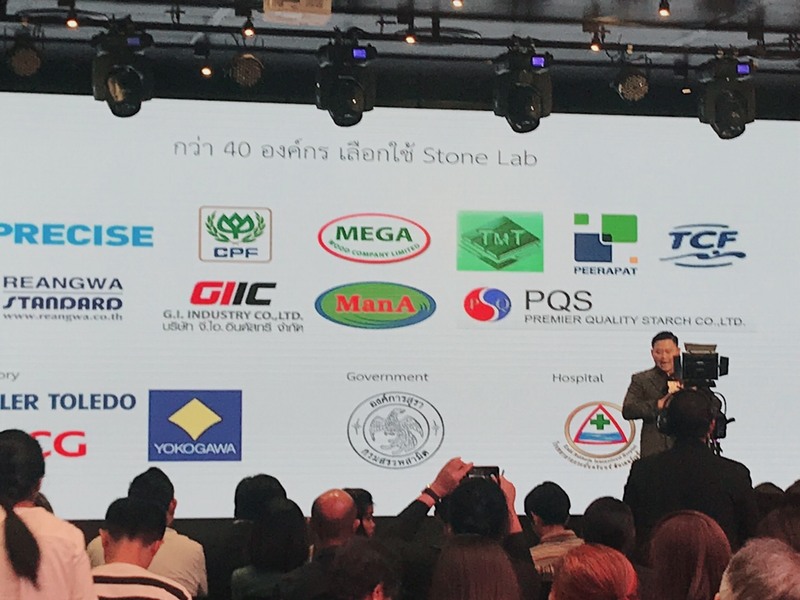 System Stone is one of the exhibitors at NEPCON Thailand. We provide smart solutions to different industries like manufacturing, healthcare, and education among others using our mobile app–Stone Lab. 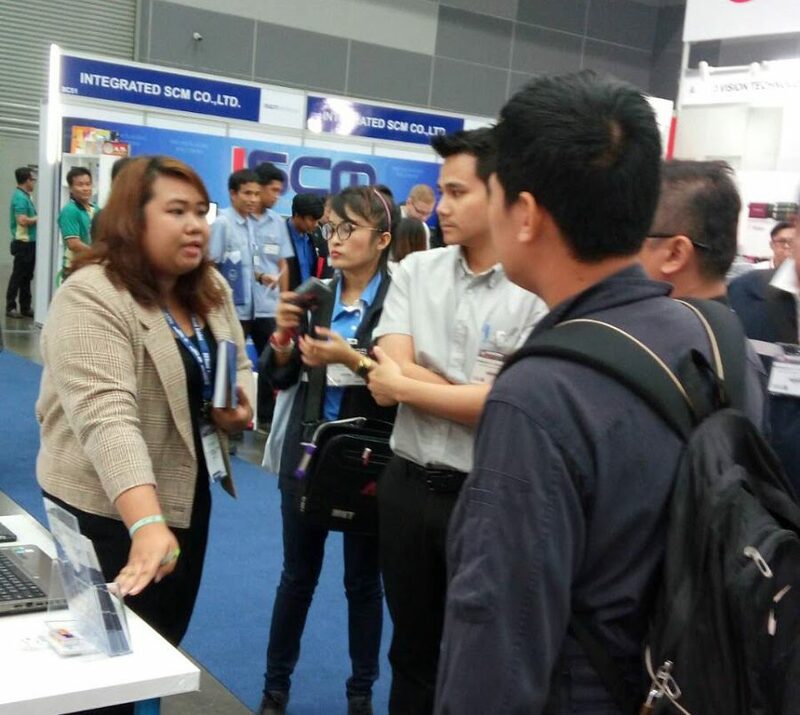 Ms. Pakamon Whung-een, Executive Sales from Bluemax Technology, represents System Stone in the NEPCON exhibition. 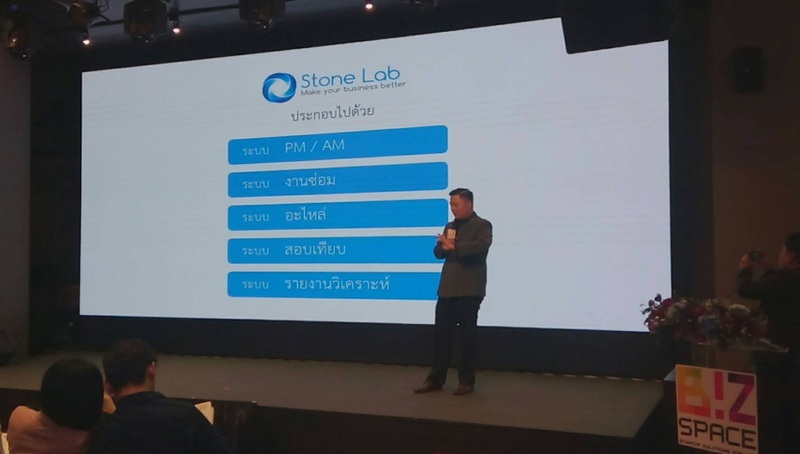 Mr. Chalit Wongtaweethong, Marketing director of Bluemax Technology Co., Ltd., our agent partners) represents System Stone on the stage to showcase our technology to the visitors. 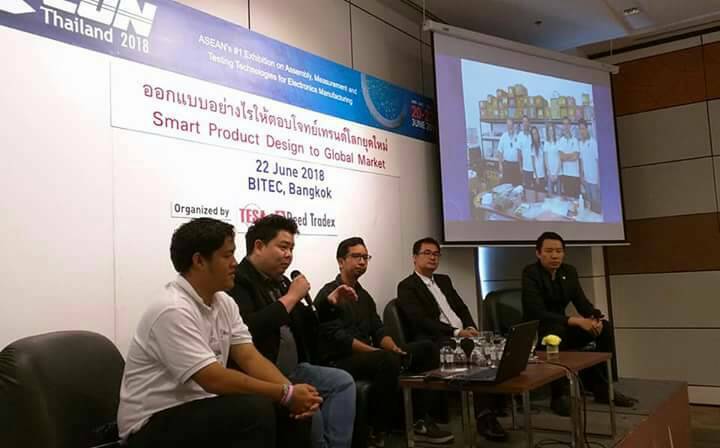 “Smart Electronics Creating New Lifestyle” by Dr. Sarun Sumriddetchkajorn, Executive Director at National Electronics and Computer Technology Center (NECTEC), Asst. Prof. Apinetr Unakul, Advisor at Thai Embedded Systems Association, Mr. Kasemson Kreuatorn, Regional Senior Manager at Delta Electronics (Thailand) Co., Ltd., Mr. Somchai Prajaksoot, Managing Director at Digital Focus Co., Ltd.
On the third day of the exhibit, Mr. Sittikorn Nualrod–CEO and Co-Founder of System Stone Co., Ltd.–has been invited to the panel discussion about the “Smart Product Design to Global Market.” In this panel, Mr. Sittikorn presented the design structure of System Stone platform and it’s competitiveness for the global market which has a multi-language structure and installation from the global app store. The conferences were moderated by Mr. Niwat Phansilpakom, Assistant Vice President of Industrial Development Department, Electrical and Electronics Institute. 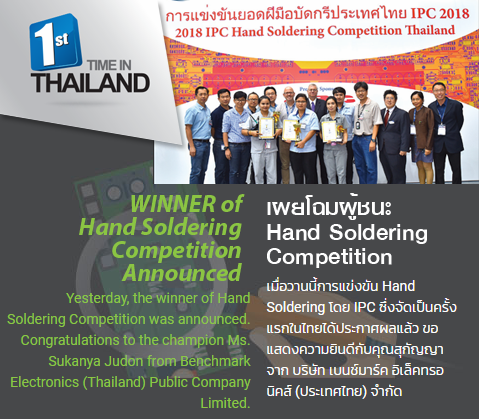 The first “IPC Hand Soldering Championship” was also held at NEPCON Thailand organized by IPC–Association Connecting Electronics Industries and Reed Tradex Co., Ltd. Overall, the NEPCON Thailand 2018 was an amazing experience for both exhibitors and visitors alike. Everyone is looking forward for the next NEPCON that will happen next year.